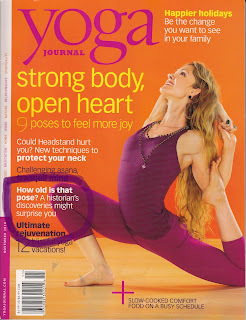 I found an article in the November Yoga Journal strangely comforting. Mark Singleton, whom I surmise to be an British academic and yoga student, wrote in Yoga's Greater Truth that what you and I think of as "yoga" has a nineteenth century origin in a Danish system called "Primitive Gymnastics." So "Yoga" is part of our own lebensreform movement. Asana is one of the limbs of Patanjali's Eightfold Path, but what we're doing the Indians got from us, and recently. The Indians who introduced us to yoga a century or so ago were interested in breathing and meditation, and looked down their schnozzes at the gymnastic stuff for class reasons. 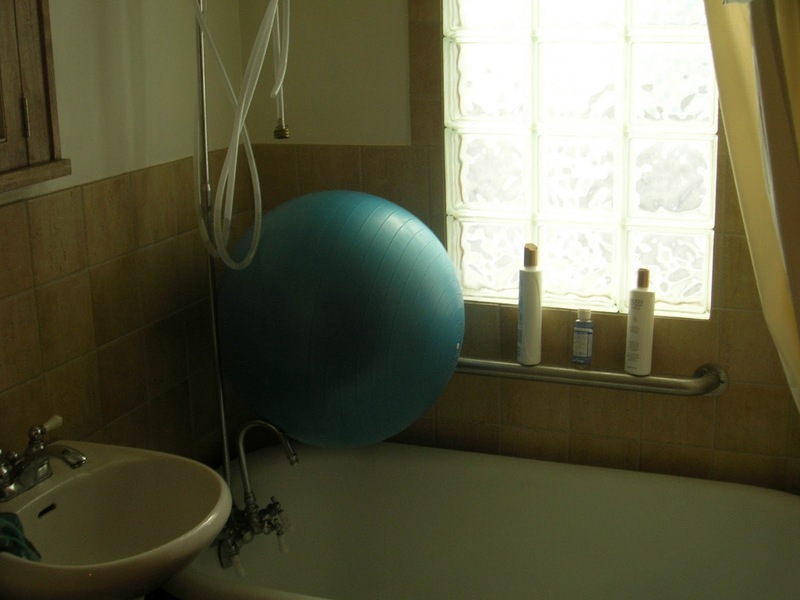 Upper photo taken because the Swiss ball looked mysterious and surreal next to the plumbing. This is the downstairs bath, the tub and shower mostly unused. The dangling hose is part of Sam's brewing apparatus.